Andrew Irwin did his best in Race 2 to finish 3rd, but it wasn’t enough to eat into the point’s lead that Farmer had built up over the season. Jack Kennedy also had a terrific Race 2 winning from fellow Irishman David Allingham after the Safety car had to be deployed to clear some track debris. With Keith Farmers potential title up for grabs following his incredible off on lap 1 in Saturdays race, it fell on the shoulders of Andrew Irwin to add to his first win of the year. 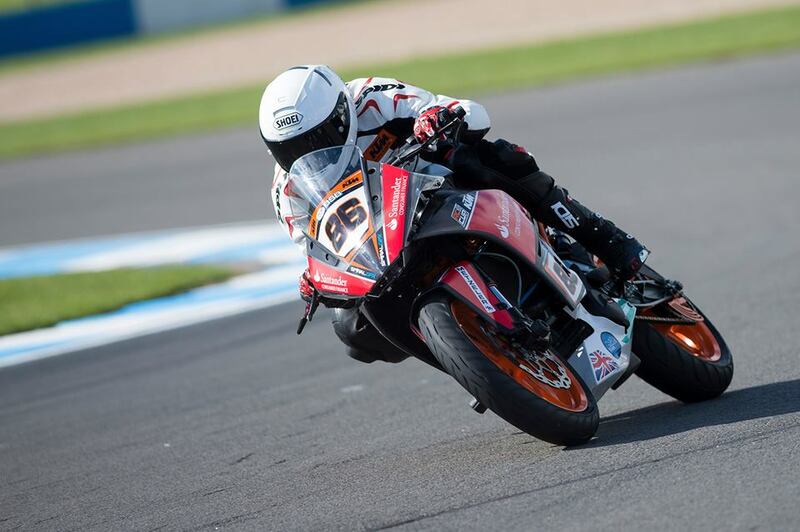 Both Farmer and Irwin had to content with the unwanted advances of fellow Irishmen Jack Kennedy and David Allingham at the top of the leaderboard as Alastair Seeley added to the fray on the non points scoring Moto2 prototype. 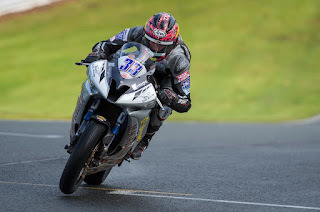 Robert Kennedy came home in P17 on the ILR backed Kawasaki ZX6. Also in Race 2 was up and coming Supersport STK rider Kevin Keyes who qualified for the main Supersport grid with the new rule. He finished in 19th place, an incredible achievement on a stock bike. In Superbike Superstock, the Michael Dunlop backed rider Carl Phillips qualified in an impressive 7th and finished 8th in the 14 lap race. Pretty impressive from a field of over 30 bikes. Having not been able to compete in every round, Carl still ended up in 14th in the championship table, just behind road racer Ian Hutchinson. Back to the Supersport Superstock race where Kevin Keyes and Aaron Clifford competed, Kevin qualified in 11th and ended up 10th. Aaron was 14th in qualifying and while quickest in warm up on Sunday morning, he unfortunately retired. There were also Irish entrants to this round in the guise of Richard Kerr and Eugene McManus on the KTM RC390's and Scott Swann on the Honda NSF250. Qualifying was a mixed bag as McManus put the bike in 5th while Kerr was further back than normal in 13th. Scott Swann impressed being the 5th fastest for the 250 group. Things were closer in Race 1 as Kerr improved dramatically carving the field up to finish 5th, one place ahead of McManus in 6th. Scott Swann meanwhile dropped back 2 positions to end up in 7th. 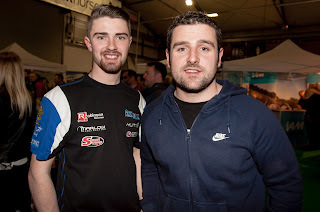 Race 2 provided another 5th place for Richard Kerr as Eugene McManus collected more points to finish 8th. Scott Swann retired towards the end of Race 2. Jordan McCord, Sam Laffins and Team #109's Adam Dunn returned to Brands Hatch to round out the Santander Junior cup. 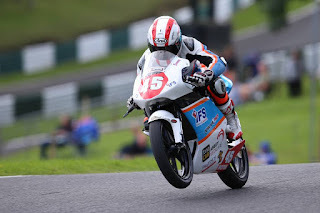 Sam Laffins had the better qualifying session pipping Jordan McCord to 4th. McCord was first on the second row in 5th. Adam Dunn would start both races in 12th position. Places were reversed in Race 1 as Jordan McCord took the 4th spot as Adam Dunn improved one position in 11th. Sam Laffins did finish the 8 lap race in 16th. In Race 2 Sam Laffins upped the ante and made up for the previous race by starting and finishing 4th. McCord picked up more points in 8th place. Adam Dunn was also on the scoreboard in 13th of the 8 lap race from a pack of 22 RC390's.